Let’s talk about what scares me. I’m terrified that my kids don’t have any concept of money. It’s distant, intangible. They don’t understand what it looks like to open a wallet and hand over cash, or the artform that is balancing a checkbook. My kids are growing up in a cashless, credit card society. They associate money with a plastic card that you swipe at the register so you can leave with whatever goods you want. Have you been to an arcade recently? Most arcades no longer use coins; they issue pre-loaded cards that you swipe to play. In their impressionable, young minds, kids think “fun, fun, fun” is as simple as a swipe at the arcade, or swipe from your bank account. When funds run out, reality sets in and the tears begin. But my kids are also 3 and 5 years old, so they’ll cry over anything. So how did we get here? When my parents were just starting out and needed cash, they didn’t go to an ATM to get some greenbacks. They actually had to go into a bank, wait in line, converse with another human being and write a check (to themselves!). Paying at the grocery store? Two options: Break out the checkbook, use the pen on the chain (hopefully it has ink) and start filling in the particulars, or hand over some of that cash you just jumped through hoops to get at the bank. All of these obstacles compounded and delayed spending, preventing them from being able to use their hard-earned money! These factors also help explain why we often receive fun charts like the one below, courtesy of our friends at the St. Louis Federal Reserve, showing the U.S. Personal Saving Rate over the past few decades. I’m not a “chartographer,” but I can spot a trend – it has just become too easy to spend! So what do we do? An entire generation of Americans is trying to figure that out now. Technology has removed any impediment between us and spending our money. Many of our clients see their children, both grown and growing, struggle with saving money. But at the end of the day, it boils down to something fairly straightforward. If you don’t trust yourself, don’t allow yourself the chance to splurge! Do you have direct deposit into your bank account? Great! Now set up that same money magic to deposit into a savings account, or better yet an investment account. Why do I recommend an investment account? It’s not because I’m an investment advisor (well, perhaps, partially because of that), but because people are more inclined to raid a savings account for a big night out or a weekend away. Why? For one simple reason: because that’s what they’re saving for. Right? Right! Investments are different. They are working for you and moving. Investments provide a sense of ownership, something real. They aren’t the digital piggy bank that savings accounts are. 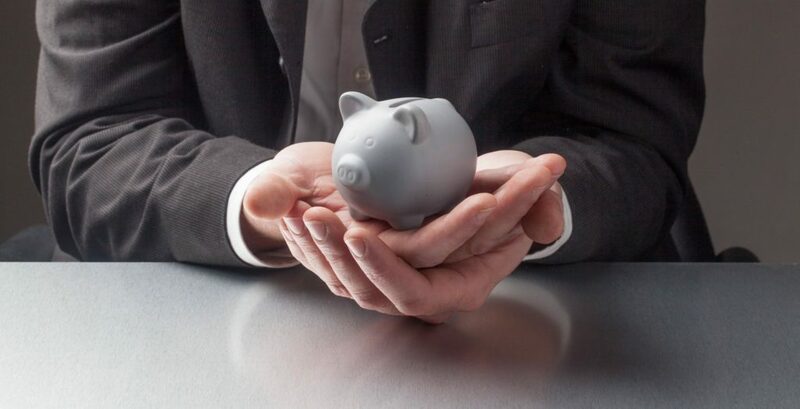 While I certainly encourage my clients to have savings accounts and save religiously, I understand that the temptation to tap into a savings account is far more powerful than to sell out of investments that are hard at work. Investments have transaction costs, tax impacts, and historically better returns than traditional savings accounts. In essence, they have barriers, both real and implied – something that is missing in most monetary transactions nowadays. It all boils down to Newton’s First Law of Motion: An object at rest stays at rest and an object in motion stays in motion. Encourage yourself and those around you to put their money into motion. Thanks for sticking with me and let me know if you would like me or anyone here at NEIRG to help someone close to you with the challenge of investing.